FINALLY, A NATURAL SOLUTION THAT REALLY WORKS! 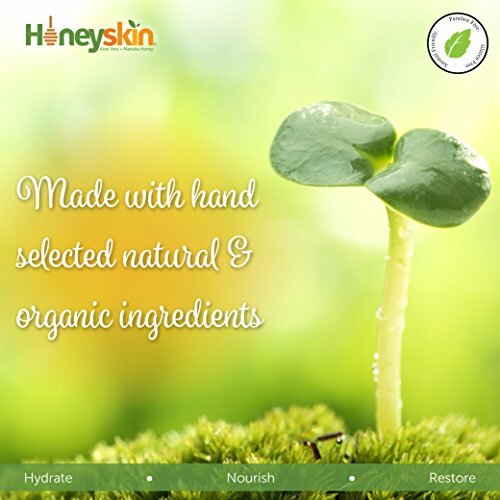 Multi-Purpose, Organic Cream is a COMPLETE Solution for any Skin Condition. -Get calming results FAST from dryness, redness and itching. -Soothe and heal your skin while simultaneously nourishing it with SUPERFOODS. -Non-Allergenic, Effective for tightening, firming and reducing wrinkles as well as scars! -Men love it - it's unscented and non-greasy! -Perfect for baby's sensitive skin. -Very gentle yet effective for treating facial skin conditions like rosacea. - Manuka Honey, a powerful medicinal honey, is an anti-fungal, anti-bacterial and anti-viral. Used in hospitals for diabetic wound care, burn units and post surgery to speed healing. -Aloe Vera Barbadensis is our base, carries the rest of the ingredients into the deepest layers of skin. Soothes and treats redness, burning, & itching. -MSM + Cehami, an Australian botanical reduces redness, inflammation and pain, great for puffy eyes, arthritis and itching. -Blue-green Algae stimulates production of collagen, creates cellular rejuvenation. Great for your eyes and face. -Shea Butter, Cocoa Butter, Olive Oil, Hempseed Oil, and Coconut Oil keep your skin moisturized. -PH at 5.5 to match the skin exactly - works with the skin without stressing it out. -We're Family owned and have thousands of satisfied customers, so with complete confidence we can give you this guarantee.We will help you with any questions you may have in your journey to creating new, healthy, beautiful skin! Don't wait! Start treating your skin by giving it what it really needs. Click ADD TO CART button to order above and see the results you've been waiting for. 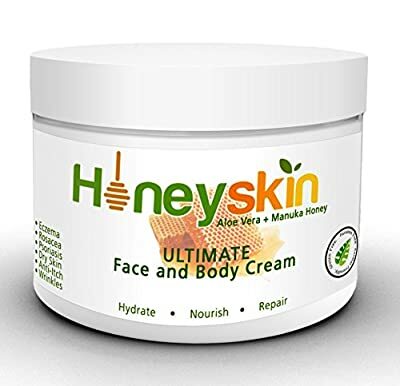 Our SUPERIOR 100% Organic Nutrient Rich Cream uses Powerful medical grade Manuka Honey for healing, botanicals like Cehami and Plumeria for pain and inflammation, as well as MSM, Aloe vera, Shea Butter, Coconut Oil and Blue Green Algae to soothe and rejuvenate the skin at a cellular level, giving your skin what it CRAVES Non-Greasy, Absorbs Fully for FAST, effective treatment of Eczema, Psoriasis, Rosacea, Shingles, Redness and Itching. The cream penetrates fully to work INSIDE, not on top. BEAUTIFUL SKIN IS HEALTHY SKIN - Our cream contains every Vitamin, Mineral, Trace Mineral and Amino Acid your skin needs to FIX itself! MOISTURIZE, NOURISH, PROTECT and REPAIR the skin, PH balanced for face and eyes as well. 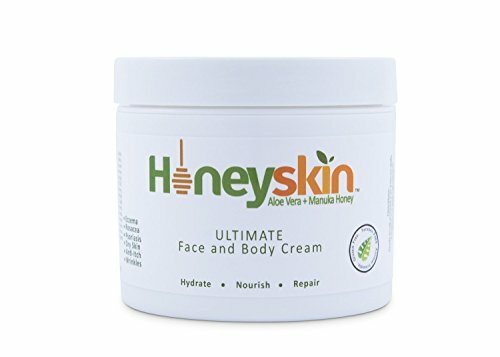 No cheap fillers - No Water - No Mineral Oil - No Petroluem - No Parabens - No Fragrance - No Harsh Chemicals - Never Tested on Animals - Non-Allergenic - Most lotions are 60% water and a chemical cocktail which are designed to dry out your skin more! Our first ingredient is Aloe Vera Barbadensis Miller, which is our base and a friend to your skin, transporting the other ingredients to the DEEPEST layers. Our Cream truly HELPS and FEEDS your skin what it needs. STOP LOOKING, YOU'VE FOUND THE BEST CREAM AROUND. Made in the USA and backed with a FULL MONEY BACK GUARANTEE! Family Owned with Thousands of Satisfied Customers! With 30 years under our belts in the field of organic skin care, we know how to treat the skin, we truly care and will HELP you achieve MAXIUMUM results.